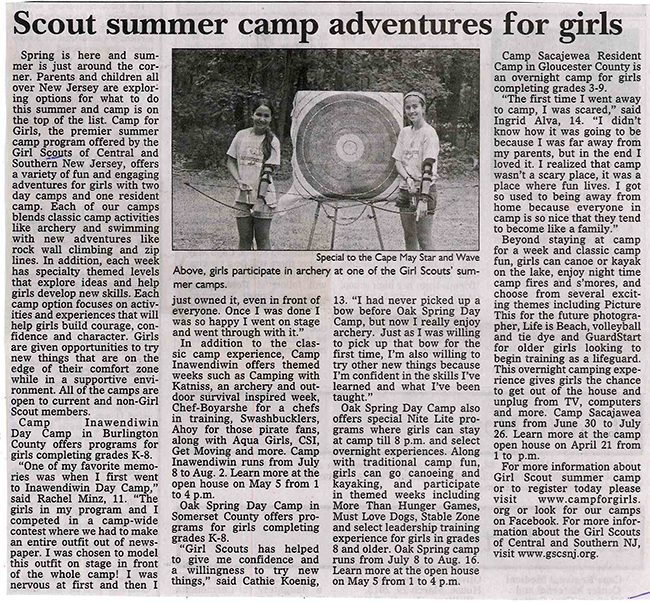 Ayushi Sahu of Plainsboro has earned her Girl Scout Gold Award, the highest award that Girl Scouts can achieve. She created a spelling bee and geography bee program for the Habitat for Humanity summer and afterschool program in East Trenton. A sophomore at High School North, she tutors and plays tennis outside of school. A Girl Scout for three years, she is a member of Troop 71607, led by Louisa Ho, Padmaja Kondeti, Praveena Saksena, and Shashi Ganjoo. She finished two journeys, Sow What? and Mission Sisterhood, which allowed her to qualify for the Gold Award. Working with advisor Ho, mentor Kiya Green, and Ganjoo, Sahu designed a project based on the subjects of geography and spelling. Ganjoo helped her identify the needs of the program and provided guidance in planning her project. Sahu designed and ran geography workshops to educate the students more about the United States. She also designed and ran spelling workshops to teach students more about sight words and other words that students their age are expected to know. Working with a group of second and third graders, Sahu executed the workshops, providing games such as Memory and Bingo to create a fun learning environment. At the end of the workshops she held a geography bee and a spelling bee for students to test their knowledge and memory. For information about joining Girl Scouts in West Windsor or Plainsboro as a girl or an adult volunteer, E-mail girlscoutswwp@verizon.net or call Louisa Ho at 609-371-2119. 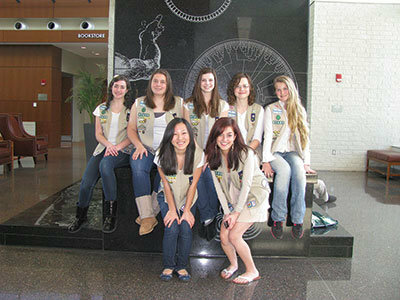 GIRL SCOUT TROOP 97420 recently attended a leadership summit at Richard Stockton College of New Jersey. From left to right are: Victoria Lovell, Courtney Miller, Emma Pike, Halle Higgins, Amy Sharp, Courtney Skipper, and Georgeann Batten.